Some Role Playing Games (RPGs) are designed to be small. They are light on rules, usually have a few theme-specific mechanics (maybe running a gun-fight or horse chase, in a western), and encourage exploration through storytelling with few limits. Other games are designed to be bigger than that. They aren’t designed to limit your storytelling, they just have more rules that help create and manage the conflict in those stories, with rules and mechanics to keep everything as balanced and real as possible. I have always referred to those games as “Big Box”, “Big World”, or just “Big” games. “Small” games rarely involve more than one or two books, maybe a third if you are running a pre-made adventure. They include things like Owl Hoot Trail, Kobolds Ate My Baby, Lamentations of the Flame Princess; or many games that are built on a generic system like FATE or Apocalypse. Big games often offer a greater selection of materials expanding well beyond the basic Player/GM rules. You don’t specifically need the extra materials, but they give both players and game masters more options to work with. They can easily result in a small library of books, which can be impressive to behold but also intimidating or off-putting to newer players. These include many classic games like Dungeons & Dragons or Pathfinder, along with newer games like Numenera or Star Trek Adventures. While the size and scope of existing Big games can be a daunting, they can bring so much to the table (pun intended) that the prospect of a new game will often help newer players jump in on the ground floor instead of the 13th floor. So as the buzz around Starfinder grew, there was little doubt it would be a success. For the public release at Gen Con, Paizo brought well above the volume of books they ever expected to sell. They were sold out of the Core Rulebook in a matter of hours and by the end of the event only had a handful of accessories, like maps, left. Sufficed to say it was more than a moderate success, it was a runaway hit. 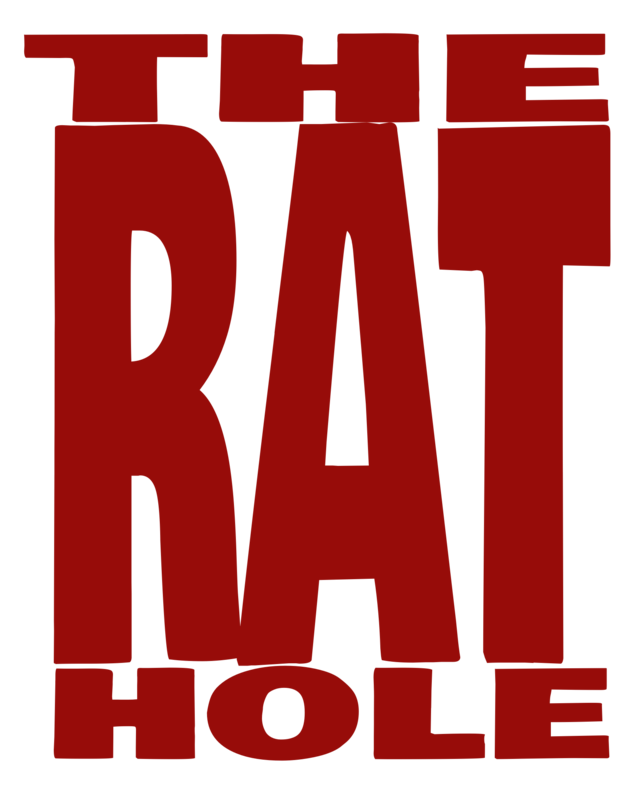 Every month in The Rat Hole we have a series of themed reviews. Rarely will that theme get an introduction post, like this one. Just as rare will be an entire month dedicated to a single game. But I’ve been waiting to dig into Starfinder for a while, so over the course of January, I’m going to give my thoughts about the Core Rulebook, the Starfinder Society Quests that serve as an easy introduction into playing the game both casually or in organized play, as well as the Dead Suns Adventure Path. This week I’m also going to touch on 2017’s Free RPG Day preview offering, First Contact. Free RPG Day is more than a marketing scheme. For many RPG players, its a holiday. Every year thousands of gamers avoid work and spend the day at their Friendly Local Gaming Store, where Publishers have the opportunity to get their products in front new eyes, and players get to experience new games by way of the various quickstart rules, introductory adventures, and other supplements that come out each year. 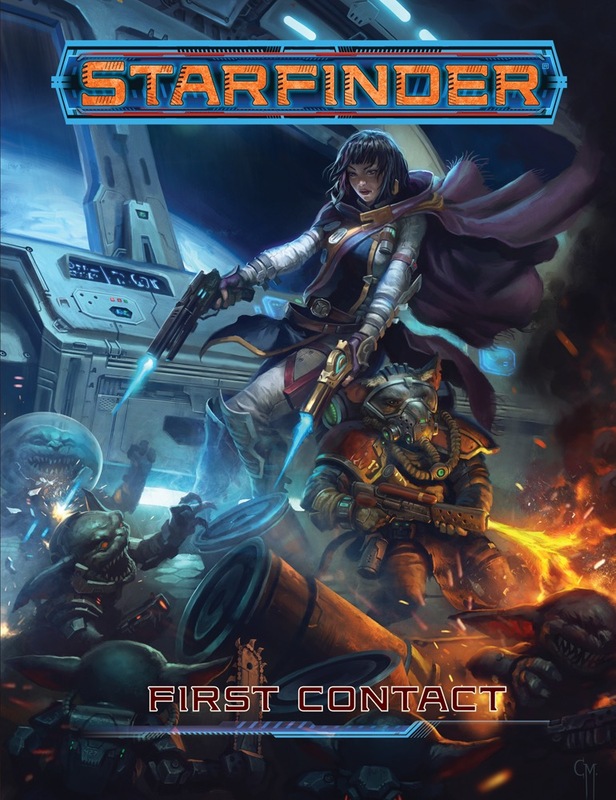 For 2017, Paizo offered up a glimpse into their upcoming (at the time) Starfinder game, with First Contact. This wasn’t anything spectacular. No adventure, no quickstart rules, just 12 new foes that the players may face in their games, along with a brief introduction to some of the differences in how monsters a built for Starfinder compared to Pathfinder, and how to shift between the two systems. There are sections on what’s different between the two, and a section on rules that are unique to Starfinder. There is also a sidebar on how to tell if an alien is playable as a Player Character (PC), and the additional information you need if you’re allowed. While we only get 12 creatures, they are a diverse group. Ranging from the strange 50′ Ellicoth and the highly evolved brains of the Contemplatives of Ashok, to the somewhat expected Space Pirates and Space Goblins. But, expected or not, can I just say that again? SPACE GOBLINS! I am ridiculously excited about Space Goblins. Once more for those in the back. Space Goblins. I’d also like a pet Ksarik, which is a bit like if Scott Sigler‘s creatures from Ancestor had some plant DNA in them and Chthulhu’s face. I’m sure everything in this booklet has subsequently been included in the Alien Archive supplement (which came out in October, but I haven’t yet acquired), but it did its job at the time. It showed off just enough to get people excited, and I’m sure it contributed to the overwhelmingly successful launch of this great new universe that we all now get to play in. Check back every Thursday in January for more Starfinder goodness, and maybe we can get the hashtag #WeBeSpaceGoblins2018 trending so we can have a Starfinder goblin adventure for next year’s Free RPG Day. Because Space Goblins.